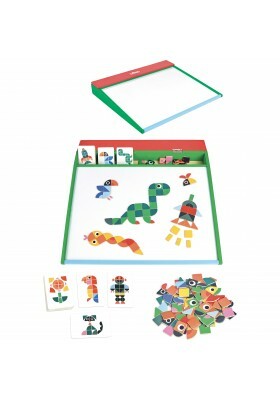 Select a card and reconstruct the image with the magnets on the magnetic whiteboard! 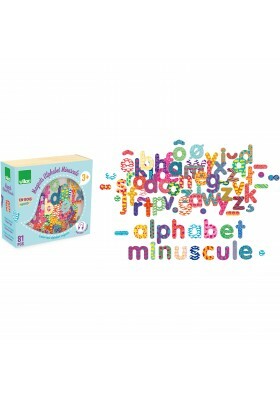 This large magnetic whiteboard allows children to develop their creativity. 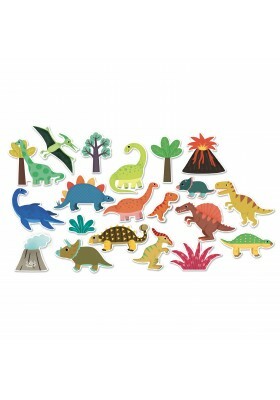 With these twenty wooden magnets on a dinosaur theme, children can invent countless stories. 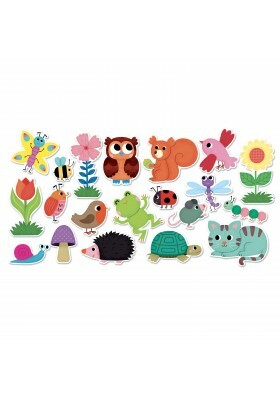 With these twenty wooden magnets on a garden theme, children can invent countless stories. 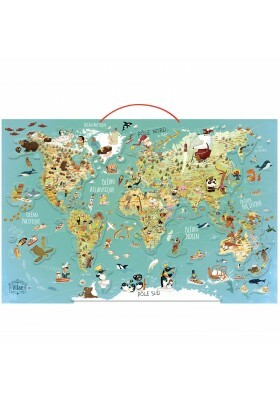 These twenty magnets decorated with lovely illustrations allow children to learn more about the farm. 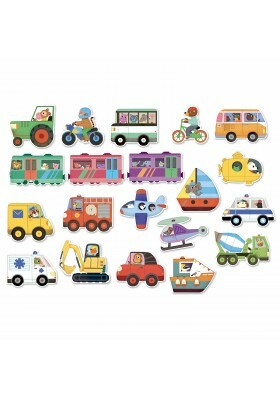 These twenty magnets decorated with lovely illustrations allow children to learn more about means of transport. 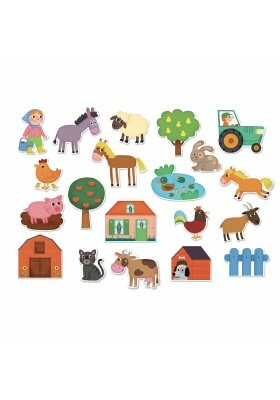 Thirty illustrations to reconstruct with eighty wooden magnets on a farm theme. Illustrations by Mélusine Allirol. 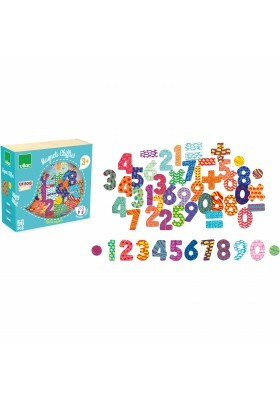 Easily transportable box with vertical panel so children can play anywhere! 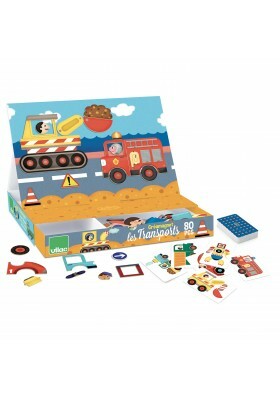 Thirty illustrations to reconstruct with eighty wooden magnets on a transport theme. Illustrations by Mélusine Allirol. 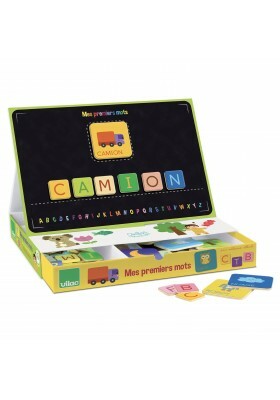 Easily transportable box with vertical panel so children can play anywhere! 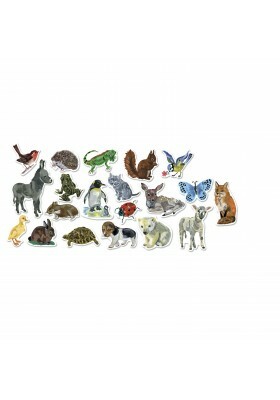 With these twenty wooden magnets illustrated by Nathalie Lété, children can learn the names of animals while having fun.